Lock in a great price for Mari Pai Resort - rated 8.1 by recent guests. The view is fantastic，and the big tree and swing is in front of our house door ，very quiet. 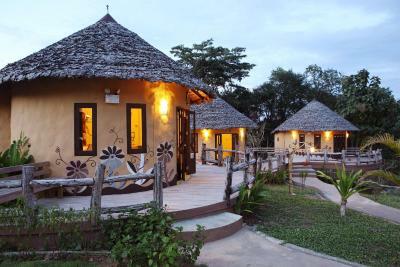 Mari Pai Resort offers cozy accommodation. It offers a free shuttle service to and from Pai Airport, which is a 10-minute drive away, and Pai Bus Station. Free Wi-Fi and parking is available. Pai City Centre can be reached within a 3-minute drive. Mari Pai Resort is a 15-minute ride away from Yunan Village. 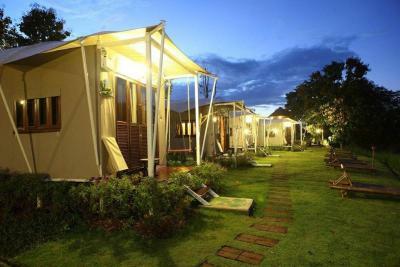 Each room at the resort is equipped with air conditioning, satellite TV and hairdryer. An en suite bathroom and private balcony are also featured in the room. Hotel's guests can experience on-site leisure facilities such as a garden. Authentic Thai cuisine is served at Mari Pai Restaurant. Couples particularly like the location — they rated it 8.1 for a two-person trip. 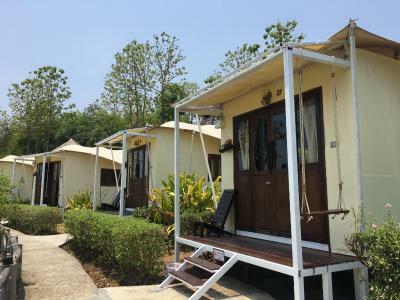 Mari Pai Resort has been welcoming Booking.com guests since 25 May 2012. When would you like to stay at Mari Pai Resort? Cottage features air conditioning, a satellite TV and minibar. En suite bathroom come shower facilities and hair dryer. Cottage features air conditioning, a satellite TV and minibar. 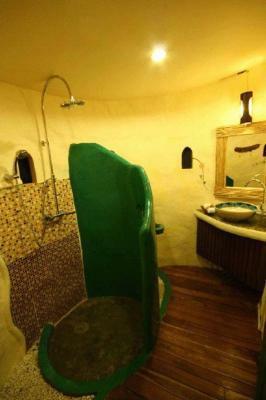 En suite bathroom come shower facilities and hair dryer. There is a private balcony. Large room features air conditioning, a satellite TV and minibar. En suite bathroom come shower facilities and hair dryer. There is a private balcony. The Safari style cottage Mari Pai Resort is serenely positioned on the hill slope, where guests can enjoy the scenic mountain ranges covered with fog. Tourists staying here can easily walk to Coffee In Love. House rules Mari Pai Resort takes special requests - add in the next step! Mari Pai Resort accepts these cards and reserves the right to temporarily hold an amount prior to arrival. Please note that the hotel offers a free round-trip airport shuttle service. Guests are kindly requested to inform the property in advance if they wish to make use of this service. Contact details can be found on the booking confirmation. nice big tree for photo shooting. They allow the outsiders to come and take a photo or wander around inside the property.and been there for 2night never make up the room. Just so so.don't like the staff on check-in desk.She looked a little frustrated and not that helpful with patience.Room is small and too many geckos. There should be a proper restaurant at the hotel. We had to go to Pai township to have dinner.